Fill out our online request information form and we will get back to you. View our online resources to make your visit as easy as possible. We are happy to welcome you to the official website for Sirius Veterinary Orthopedic Center. Our referral-only small animal clinic specializes in orthopedic procedures that help pets just like yours enjoy renewed comfort, mobility, and health. Our orthopedic team in Omaha, NE regards your pets as natural athletes who make extensive use of their bodies in their everyday lives, from engaging in athletic competitions to simply leaping off of the couch at home. Whether your animal is a professional athlete with an injury or a faithful old companion fighting age-related aches and pains, we can help. You may have noticed that our logo is a modified depiction of the constellation Canis Major. But even though our name and logo feature Sirius, the "Dog Star," rest assured that we care for cats and other four-legged athletes as well. We treat each and every patient with the same mix of advanced skill and compassionate care that we would want for our own pets. When your pet is in need of specialized orthopedic surgery, then they need our orthopedic veterinarian in Omaha. As Owner and Chief of Staff of Sirius Veterinary Orthopedic Center, Dr. Horstman developed a passion for veterinary surgery during his vet school days, turning his focus to orthopedic rehabilitation and surgical techniques. The staff at Sirius Veterinary Orthopedic Center meets Dr. Horstman’s enthusiasm and provides professional and friendly service to every guest. Sirius Veterinary Orthopedic Center is located in the same building as Five Elements Veterinary Alternatives, a trusted provider of healing, rehabilitation, and wellness therapies. Once we have performed the necessary orthopedic surgery here at our vet clinic, we may refer your pet to a physical therapy/rehabilitation facility for post-operative care. This arrangement allows us to offer your pet a complete recovery solution for their orthopedic condition. Looking for an Orthopedic Veterinarian near Omaha? If your current veterinary clinic hasn't yet referred you to a skilled orthopedic veterinarian near Omaha or the surrounding area, ask for a referral to Sirius Veterinary Orthopedic Center. In the meantime, explore our website in detail to learn more about our many services, and feel to contact us at 402-934-1332 with any questions you may have for our orthopedic vet in Omaha. 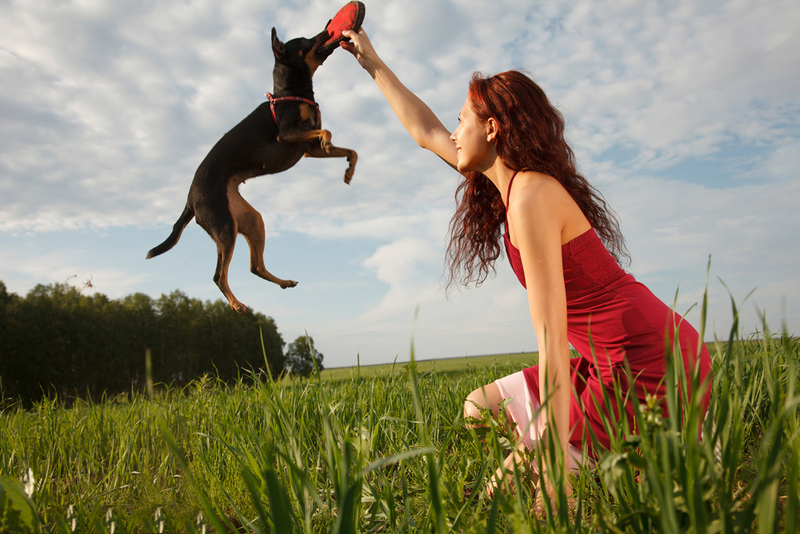 We look forward to helping your pet overcome their orthopedic challenges! Dr. Chris Horstman is the owner and Chief of Staff for the Sirius Veterinary Orthopedic Center. He was born in Creighton, Nebraska (northeastern Nebraska). His love for animals began at an early age; during visits to his family’s farms. Dr. von Pfeil graduated from the Free University Berlin, Germany, in 2001 before being selected for an internship at Kansas State University (KSU). This was followed by the American DVM and a surgery residency and fellowship at Michigan State University (MSU). During that time he was elected as resident of the year by the MSU class 2006. In 2008 he became double-board certified with the American and European Colleges of Veterinary Surgeons. Following years of sports medicine related work, Dr. von Pfeil gained his third board-certification in 2016 with the American College of Veterinary Sports Medicine and Rehabilitation. He worked as a professor in surgery at KSU and as specialty surgeon at referral centers in AK, VA and DC before joining Sirius Veterinary Orthopedic Center in 2018. Chelsea grew up in Omaha, Nebraska, and she grew up knowing that she would go to school for veterinary medicine. After high school she worked at a few different veterinary clinics and began her path to becoming a licensed veterinary technician. Rachel and her family moved from Kansas City, MO to Omaha, NE when she was 10 years old. Since moving to Omaha she has lived the good life. She attended Millard North High school and after receiving her diploma went straight to Vaterott College. Here she obtained a veterinary technician degree. Kayla is born and raised in Omaha and has loved animals for as long as she can remember. Stephanie grew up in Milwaukee, WI. She attended the University of Wisconsin and received a bachelor’s degree in Biology in 2010. Her love for animals lead her to pursue a degree as a Veterinary Technician from Madison College in 2012. Clarissa is currently enrolled at UNO and is majoring in environmental studies. She has worked in the veterinary field for approximately two years. Amanda grew up in Gretna, Nebraska, and moved to Lincoln after graduating high school. She began working at the Nebraska Animal Medical Center as a veterinary technician assistant, while attending UNL for pre-vet. Bre is a Midwest girl who has lived in Nebraska since she was nine. In 2004 she and her husband moved to Colorado, where she began her career with pets. While living there she obtained her Certification in Dog Behavior (dog trainer) and also worked as a Receptionist and Veterinary Assistant at a Veterinary specialty clinic. Kim is from Papillion, NE but grew up in the small town of Battle Creek, NE. Her love of all animals was very evident since she was a young girl. From befriending the neighborhood stray cats to talking about starting a dog rescue with her dad, she cared about every animal that she crossed paths with. Morgan comes to us with over 15 years of customer care experience. She takes great pride in helping clients and always providing the best customer service care. Jessica was born in Los Angeles, California. Her love for animals began at a young age. She fed every stray in the neighborhood and was always asking her parents if she could bring home more four-legged friends. "Pre-Surgery: I felt at ease from the moment I walked in the door. Greeted by staff who were professional, knowledgeable and caring. Dr. Horstman examined my dog during the consultation, verified her injury and explained (in detail) everything about the needed surgery. He was professional, kind and caring. I felt confident that my dog would be in very good hands. Post Surgery: Dr. Horstman showed me the before and after x-rays and reviewed the surgical procedure they had performed. He went over everything I needed to know for post surgical care at home. The technician that did the discharge instructions was very thorough and knowledgeable. All in all a VERY good experience, under the circumstances." "I have just had the best experience with my baby girl. Casey had arthroscopic surgery and torn tendons were found in her rt. shoulder. Dr Horstman and every single person I encountered at Sirius was compassionate, knowledgable, helpful, and went beyond the necessary. Dr. Horstman called when he completed her surgery and gave me his findings. Casey had to stay overnight and a vet tech texted me a very detailed report of her evening and I found it extremely comforting. I cannot say enough good things about the clinic and I love our hometown vet Dr. Stevenson for suggesting this place." "Dr. Horstman gave us our happy, energetic, pain-free pup back! After trying to manage her pain for nearly a year, we decided to amputate Lucy’s leg. We have a hard time trusting people with our little lab due to previous experiences but Dr. Horstman and his staff have proven to us that they truly have our best interests at heart. They did an excellent job with the amputation. They also kept us updated with calls and texts after the surgery and overnight, putting our anxious minds at ease. We are 3 months post-op and life is great for all of us again, thanks to the excellent care Lucy received from everyone at Sirius. I would refer absolutely anyone to Dr. Horstman- great guy and great surgeon. Very thankful we found him." "I can't thank you enough for fixing my favorite running companion. My 5 year old boxer had torn two tendons in her knee. Dr. Horstman and his entire staff were kind and efficient. Her knee is now fully functional and we are working on building her miles back up. So pleased!" "The thought of our fur baby needing surgery was very scary, however, Dr. Horstman & the staff at Sirius went above and beyond what I expected. From explaining everything in depth to the updates throughout the day, you really put my mind at ease. I couldn’t have asked for a better experience. Pooky is snuggled on the couch and on the road to recovery now! Thank you!" "Fabulous caring staff and they provide excellent care! We are lucky to have such a great practice in the area! Thanks for working with rescues to help us help the ‘underdogs’!"